Plumbing repairs can easily cost hundreds or thousands of dollars and consume hours of labor. However, advances in technology have made it much easier to effectively identify the source of plumbing problems. This has significantly improved the repair process, with the benefit of saving plumbers time and saving customers money. Read on for more information. Prior to the 1960s, pipes were typically made of clay or cast iron. Tree roots can break right through clay pipes, causing a disruption or blockage. These pipes also break easily anyway, because clay is brittle. Slightly better are cast iron pipes. They can withstand pressure and weight, but are vulnerable to chemical reactions that can occur inside the pipes from waste and common household drain cleaners. Over time, they can corrode and crack. 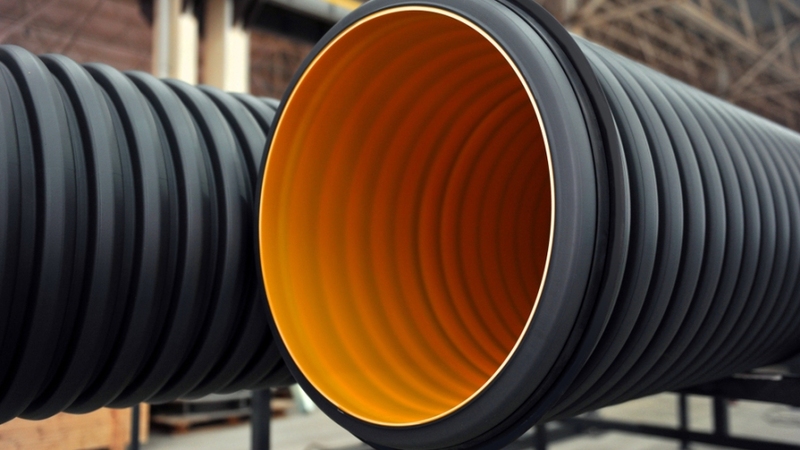 It is more common to use polyvinyl chloride (PVC) and acrylonitrile butadiene styrene (ABS) pipes for plumbing systems nowadays, but sewer problems can still occur. One disadvantage is that PVC and ABS pipes lack the strength of cast iron pipes and are more likely to break. No matter what your sewer pipes are made of, all pipes can be blocked. When pipes break apart, they may be obstructed by pieces of the pipe that fall inside, along with dirt and other debris. Clogs from waste or from items that should not be flushed can also cause sewer lines to back up, leading to costly repairs. Some of the most innovative developments in plumbing are relatively new. Years ago, it was normal for plumbers to be required to dig up sections of pipe and inspect them visually to see if they could identify the source of a problem. In the event that a tree root had broken through the pipe, it would be possible to see that once the outside of that part of the pipe was exposed. Problems that were inside the pipes were more difficult to diagnose. One approach involved inserting a snake into the pipes and feeling for the blockage. Once the snake couldn’t move forward or encountered significant resistance, plumbers could identify the approximate location based on the number of feet the snake was inserted into the line. While these methods may be suitable for some sewer pipe issues, they won’t help plumbers identify cracks or corrosion that could be weakening the walls of your pipes. In order to do this, you either need to visually inspect the exterior or interior of your pipes, which means digging up and removing lengthy sections of pipes, which is both time-consuming and costly. The sewer camera inspection cost involved in hiring a professional to insert a camera and visually inspect your sewer pipes is minimal by comparison. Individuals who want to snake the line will need to rent a snake machine with enough footage and power to travel through the line far enough to locate issues. While a person who is comfortable using this machine themselves may be able to save some money locating the problem, a professional plumber will want to confirm the source of the issue themselves. Technicians who are trained to operate sewer cameras can perform the task quickly and easily. Depending on the distance between the house and the public sewer lines, the cost could even be less than a hundred dollars and no more than a few hundred. For this expense, you can see the inside of the pipes and clearly identify any problems that need to be repaired and where the issues are located in your pipes. Sewer pipe camera inspections aren’t just a good idea when you suspect you have a problem with your pipes. This is an excellent way for potential homeowners to identify issues before making an offer on a property. Paying for a camera inspection will give you peace of mind because you will know exactly what the pipes are made of and whether there are costly plumbing repairs on the horizon. While sellers would not permit prospective buyers to dig up their yard to access pipes when negotiating a purchase, camera inspections can be performed without any damage to the pipes or property, making them a viable extension of the home inspection process.